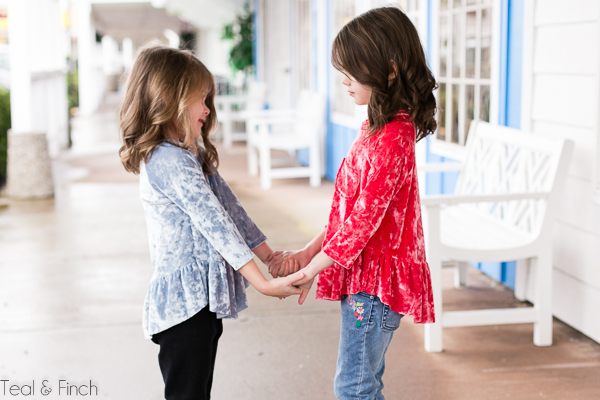 Home Apparel Fabrics The Waterfall Raglan Girls Top + A Giveaway! 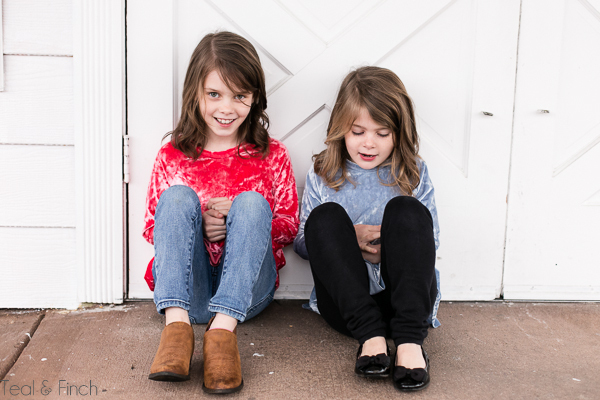 The Waterfall Raglan Girls Top + A Giveaway! 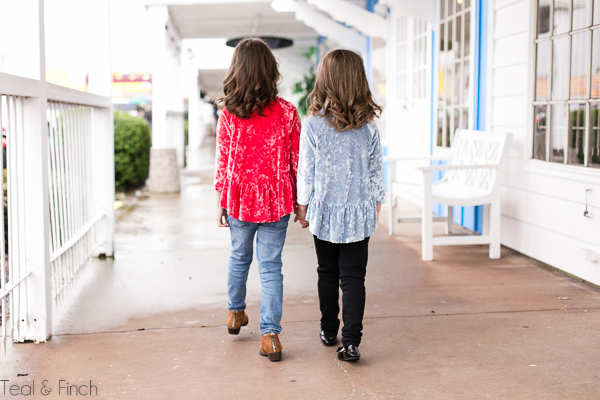 Today I’m so happy to share with you this adorable and oh so versatile sewing pattern for girls, The Waterfall Raglan by Chalk & Notch! You may have noticed that this top looks very similar to one that I was wearing a few posts back. This is the girl’s version of the same top! 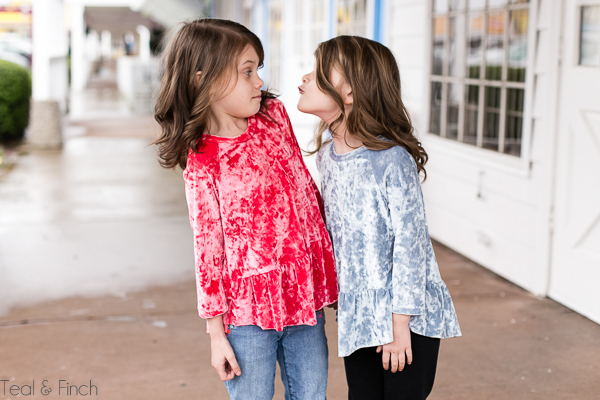 After I made the top for myself, I knew I had to get the girls’ pattern so I could make tops and dresses for my daughters. 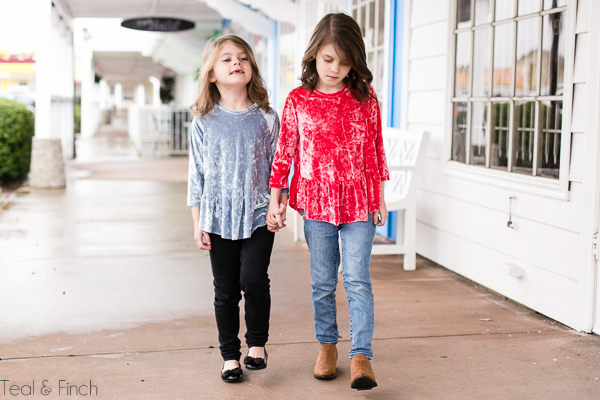 They love to match with each other and I know they would be excited to match with me…but I will have to save that for a “mommy and me” post in the future! This pattern is one of my favorites. It is so simple and well made. 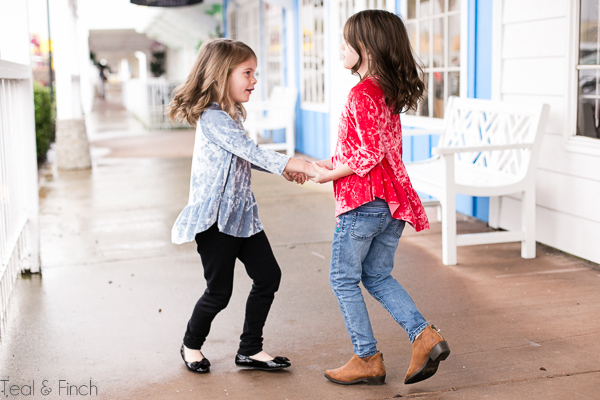 The pattern comes with options for a top or a dress and it comes in three sleeve lengths…perfect for any season. It even comes with the option to add a little pocket, which my daughters love, of course. You can’t see it in all the photos, but I made the coral one with the little pocket…such a sweet finishing touch. The pattern itself is a dream to work with. This time around I noticed even more details that make it so professional and easy to follow. It includes a page print chart so you don’t have to figure out what pages to print for the view and size that you need. It also has detailed instructions on how to make custom adjustments if your child needs different sizes for her height and width. I made a size 6 for both of my girls but it won’t be long until I’ll be needing to make my oldest daughter’s bigger in height than in width. So, I’ll definitely be using this handy feature! And since the pattern covers sizes 12 months to girls 12, I’ll be able to use it for a long time. It is designed to be made with light to medium weight knit fabrics. 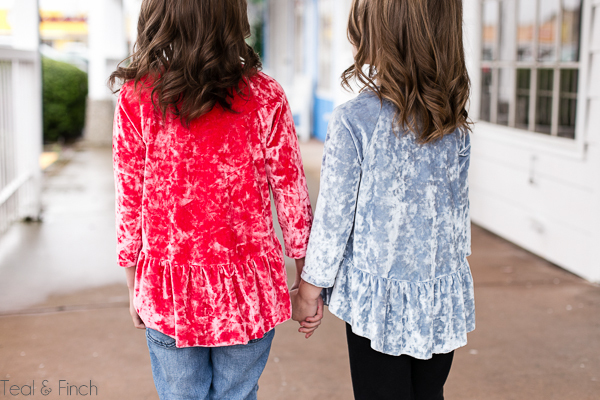 In these photos, my girls are wearing the crushed velvet by Stylish Fabric. This fabric is so pretty, easy to work with, and excellent quality. I chose the colors blue steel and coral chic. My girls love how soft it is…they felt very special when they put it on. They immediately requested that I make two in each color so they could be “twins.” How cute is that? 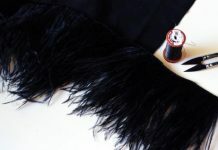 One little tip on working with this fabric…remember that velvet is directional. If you flip your pattern pieces when cutting them out, you will be able to tell in the way the nap reflects light. I think I knew this back in my brain somewhere, but forgot when I was cutting out one of the tops (it’s not one of the tops in these photos). You can hardly tell, and my girls don’t care, but just in case you didn’t know…you can learn from my mistakes! I just love this stretchy crushed velvet…I’m thinking about getting some to make leggings for myself. To help you get started on your next stretch velvet project, Stylish Fabric is offering 15% off when you use the code JEN at checkout. How fun is that? Their prices are already awesome and I always find lots of inspiration whenever I visit their website. SO, is there a little girl in your life who would love to wear this top? 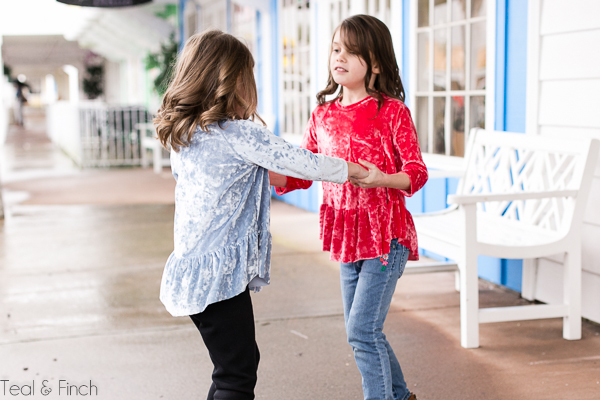 Let us know in the comments and then enter the giveaway to win your copy of the Waterfall Raglan pattern for girls. Good luck! My name is Alexandra Ramos but most people call me Alex for short. I just finished High School not too long ago and I work in the fashion industry of Downtown Los Angeles. You're probably wondering "She's so young." or "What would she know about fashion or writing blogs?" Well, that's what this blog is about. I learned a lot from my senior year Photojournalism class, learning how to take photos properly, using photoshop, how to get peoples attention with your articles, and I can go on and on about how the class was really good for me in helping me get this job, but this would literally turn into a book if I continued. But, my goal for this blog is to help designers like you find materials for projects and hopefully inspire any future designers out there. At the same time I can learn more about the fashion industry as I write these blogs. I plan to study Journalism in college and fashion design to make this blog more better and creative as time goes on. Hope you enjoy this blog as much as I do.